Ousted out of Champions league, falling apart in La Liga title race, bloodied by Marcelo’s elbow, tripped by Ramos’s sliding studs and abused by Madrid fans; Lionel Messi still had the loud last laugh. Right inside the enemy camp. Nothing, absolutely nothing, can stop him. 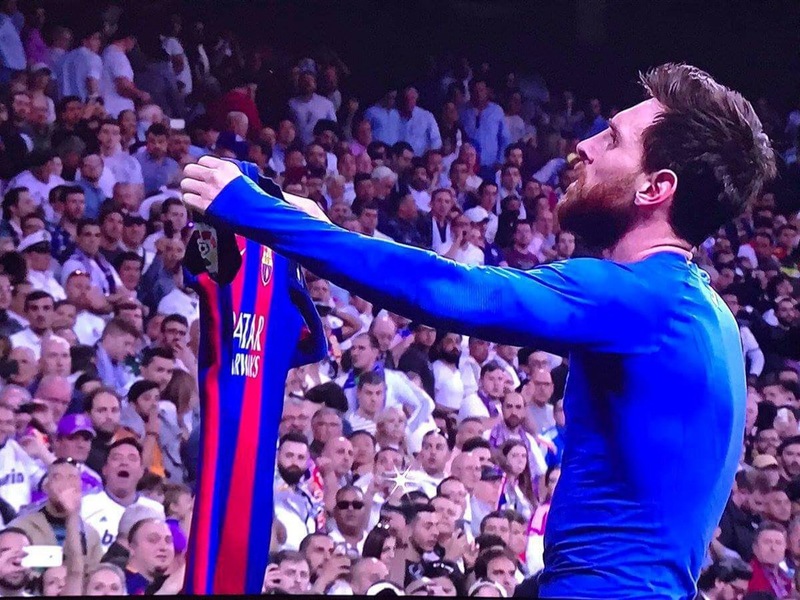 The El Clasico clash between Real Madrid and FC Barcelona ended with the Messi-ah silencing the Bernabeau crowds with his ‘check my name’ celebration. 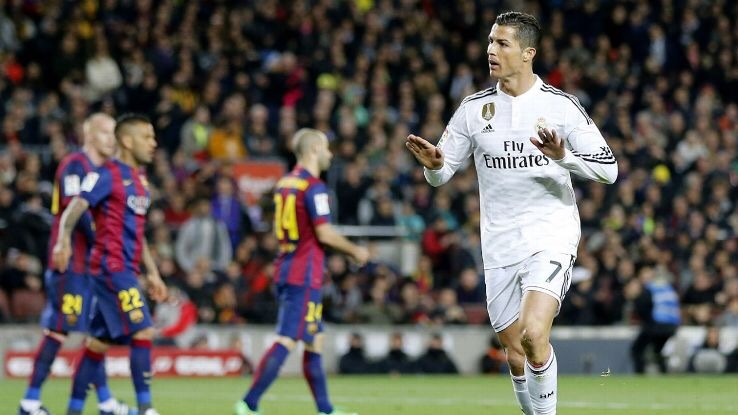 For Barcelona fans this is finally a sound retort to the numerous times Real’s Cristiano Ronaldo has done the ‘Calma Calma, am still there’ celebration at the Camp Nou. Ronaldo did his trademark insinuating celebration twice. 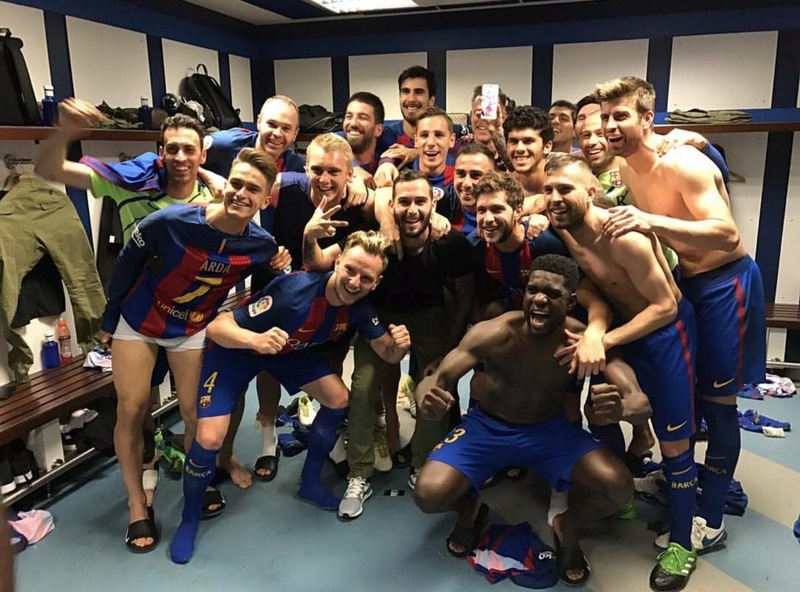 First time in April 2012 when Jose Mourinho’s Real Madrid took a firm grip on an absolute bitter La Liga title race that year; and then in April 2016, when Real cut down (temporarily) on Barcelona’s title charge. Both times, Ronaldo hit the winner in 2-1 wins. The celebration, his fingers pointing towards his six packs, and shouting ‘Calma Calma, am there’ stayed with Barcelona fans. I had watched that game from the stands. Not that he needed to, but it once again put a lid to discussions on who is the greatest of all time. That Cristiano Ronaldo has won the Ballon D’Or thrice in last four years, will be forgotten temporarily. 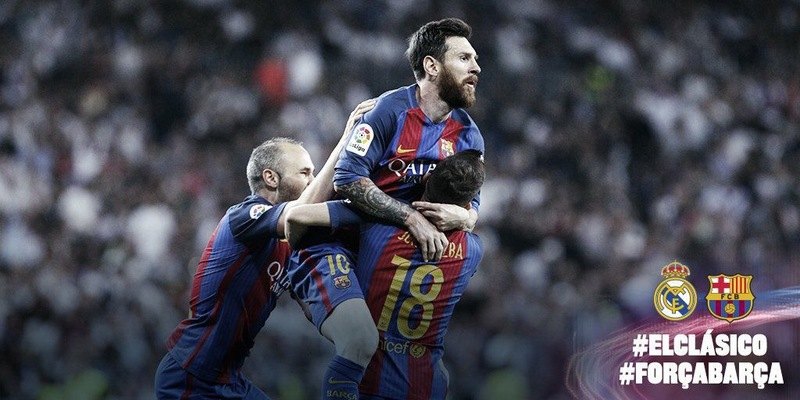 That Barcelona has struggled major part of April 2017, scoring just three goals and letting in eight goals in four games, in lead up to the El Clasico will be forgotten. That Juventus dumped them unceremoniously from Champions League, will be forgotten. At least till Thursday. Thank you, Messiah. You have given every reason to continue my La Liga television subscription for this season. Real Madrid have tougher La Liga games, a tough champions league semi final, few injuries, Sergio Ramos suspension and some self-doubts to contend with. The last time the Los Blancos won the league was in 2012, the only time in the last eight seasons. The La Liga title race is wide open and yet again threatens to go to the last match day, to the last nail biting minute of the season.